Bunko night is a monthly tradition for a group of women who live in and around Woodbridge Estates, and each evening is unique. 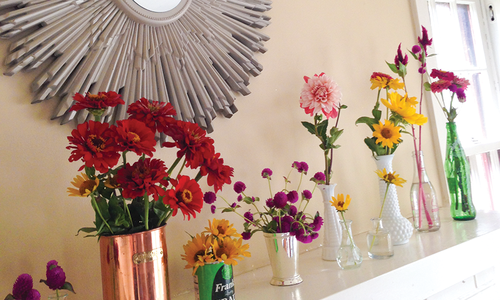 Our Administrative Assistant, Bernadette Pry, transformed her home for a game night packed with flower-filled fun. It’s hard to beat a good girls’ night out, but a group of friends in southeast Springfield have just as much fun with a regular girls’ night in. Month after month, the group of 12 gal pals gathers for bunko night, an evening when they play the popular dice game and enjoy fabulous food, plenty of wine and a whole lot of laughs. 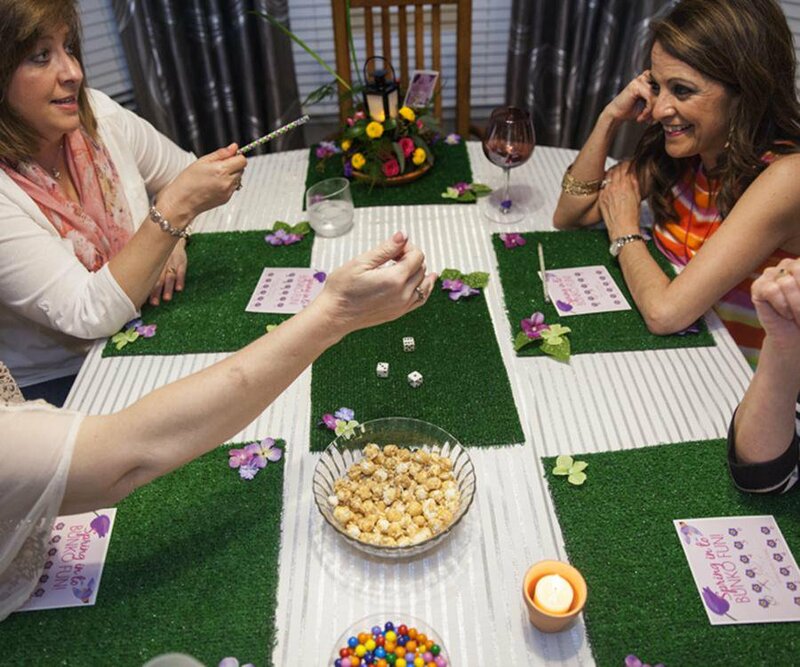 Pry has hosted many bunko nights since then, including a recent floral-themed affair she planned to welcome warming temperatures. 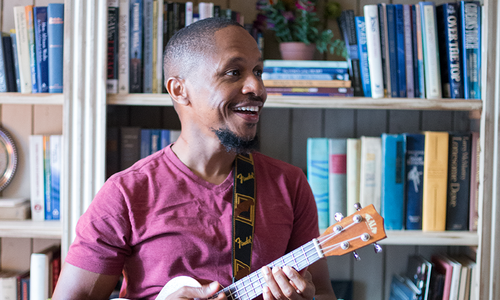 The playful tone for the evening was set with custom-made invitations, table signs and score cards designed by Pry’s friend Brittni Bynum, who is the production director at 417 Magazine. 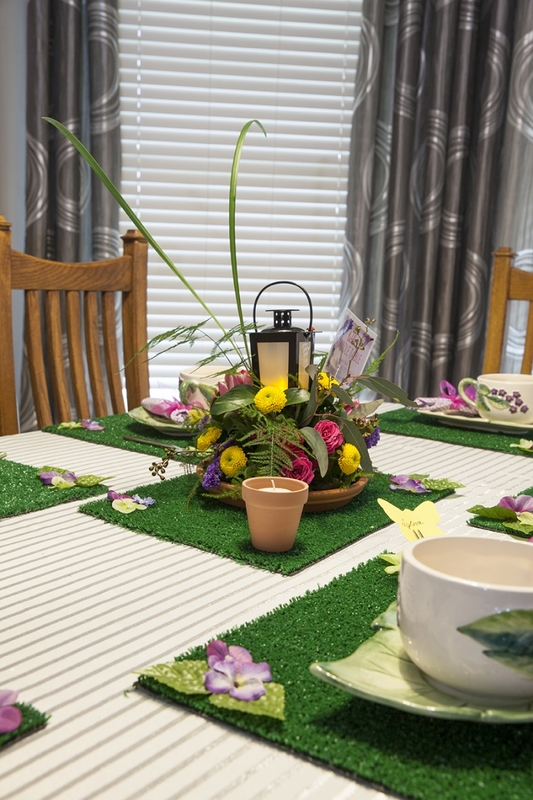 Pry made place mats and table runners out of artificial turf and silk flowers. RosAmungThorns created custom floral centerpieces for the event, and other spring flowers placed in Ball jars lined with gingham fabric carried the theme throughout the home. Pry repurposed rain boots for flower planters and transformed a vintage tea cart into as a beverage cart. 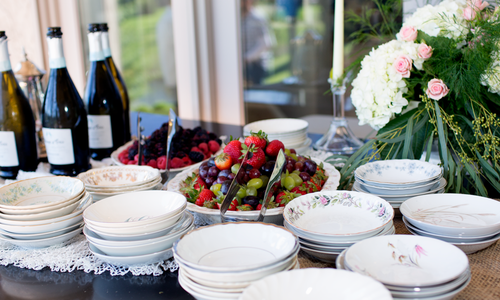 Guests enjoyed heavy hors d’oeuvres on floral-patterned dishes that Pry received as a gift from her mother-in-law almost 30 years ago, and everyone took home a potted pansy as a party favor. As all good parties are, Bernadette Pry’s bunko night was stocked with plenty of food. 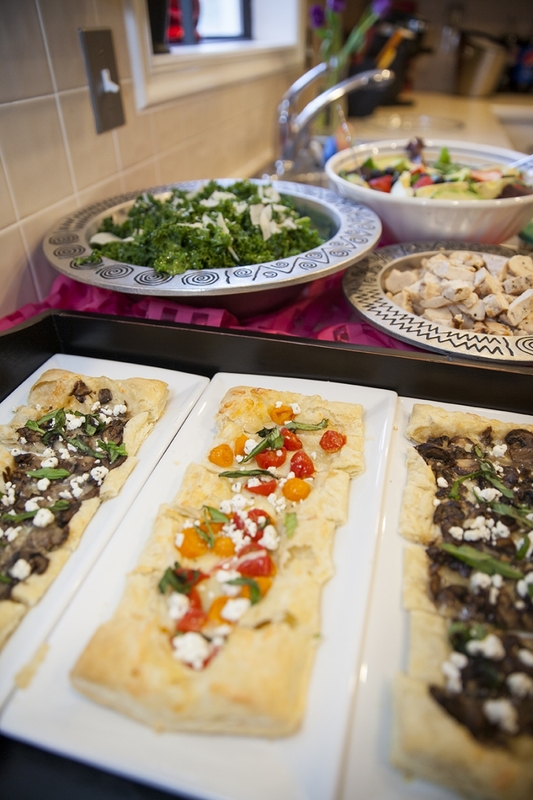 The ladies munched on a variety of appetizers made by Pry and several guests, with items such as homemade flatbread pizzas, kale salad, cucumber sandwiches and shrimp cocktail up for grabs. 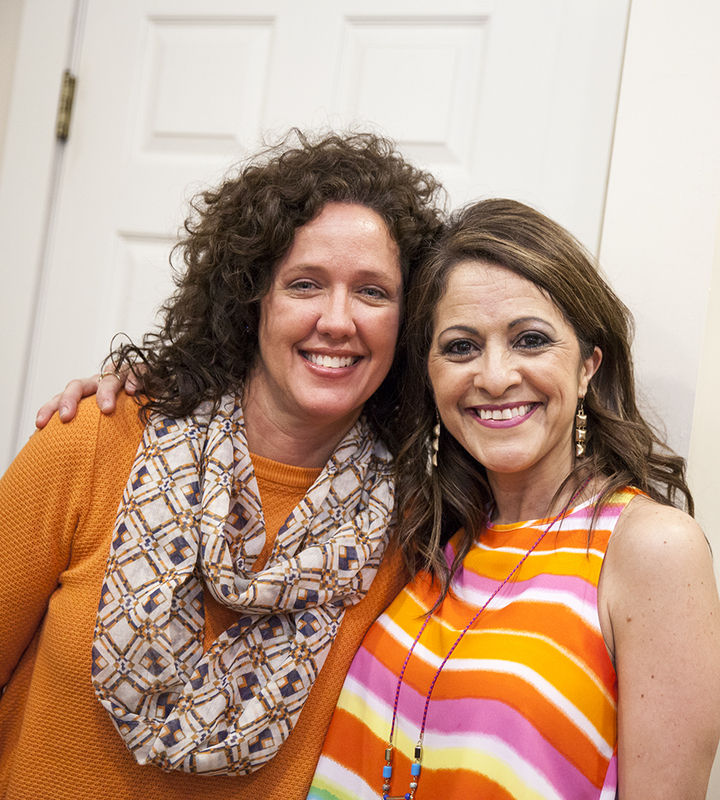 Many of the women who came to bunko night, including Tori Sallee (left), have been playing for several years. Sallee lives just outside of the Woodbridge Estates neighborhood, which is where Pry (right) lives. After dinner, the women satisfied their cravings for something sweet with cupcakes and homemade pretzel snacks. 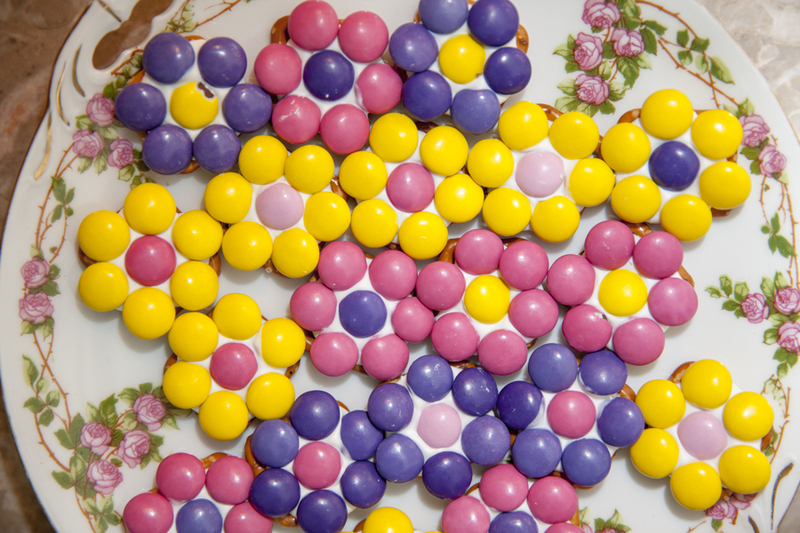 Pry made the pretzel snacks look like spring flowers using pretzels, white chocolate and M&Ms. 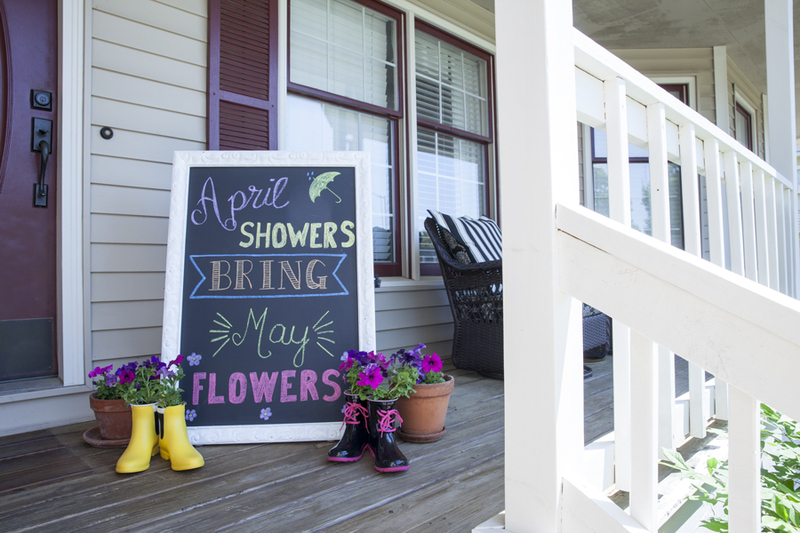 Pry introduced the evening’s theme on the front porch with a custom-designed chalkboard that read “April Showers Bring May Flowers.” She planted petunias in clay pots and rain boots and displayed them near the board. 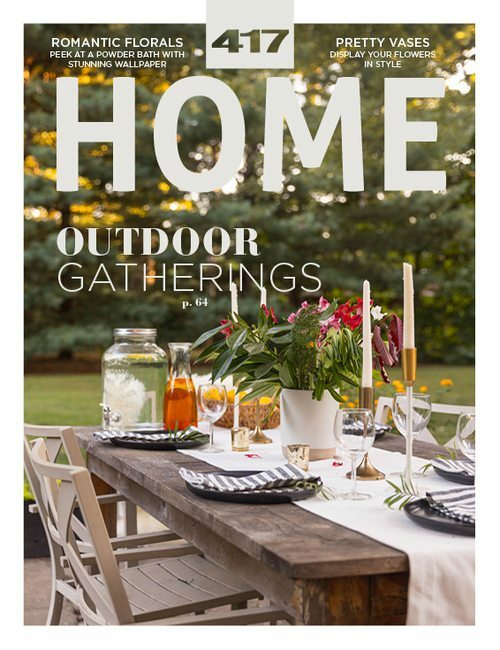 As a lover of crafts and DIY projects, Pry happily created several decorative items herself, including the place mats she made with artificial turf and silk flowers. RosAmungThorns designed the custom floral centerpieces, and floral-themed china served as the perfect tableware. Pry received the china as a gift from her mother-in-law 30 years ago. Even the score cards at this bunko night were on-theme—Pry’s friend Brittni Bynum designed the cards using bright spring colors to match the evening’s floral theme. Bynum also designed the invitations and table signs. 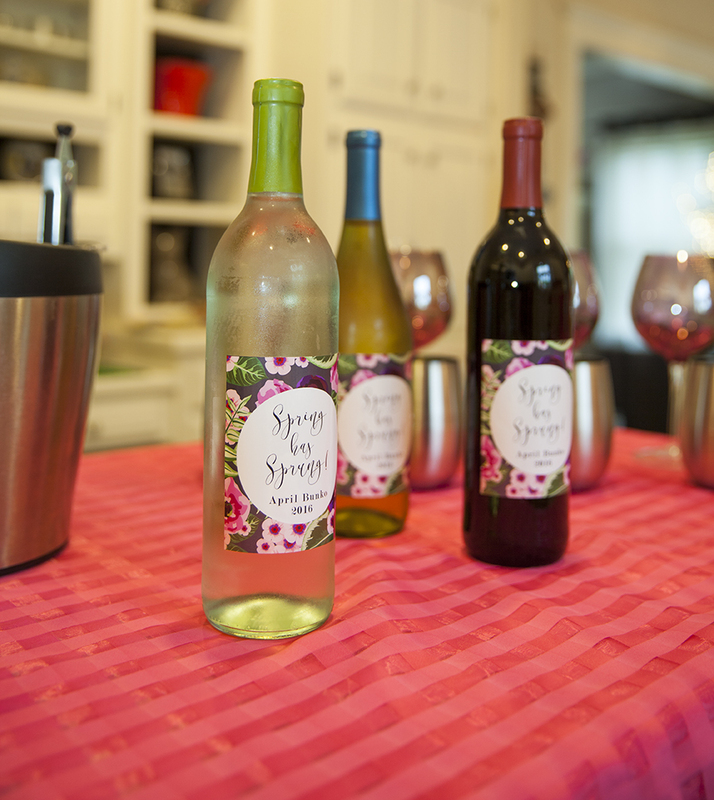 Pry dressed up wine bottles with custom-designed labels she ordered online. 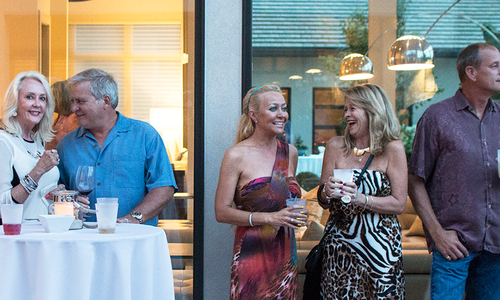 Guests enjoyed wine upon arrival, and they continued to sip on their favorite reds and whites throughout the evening.